Nationwide (BlackNews.com) -- HBCUConnect.com, in partnership with Cerner Corporation, will offer an opportunity for HBCU students, graduates and diverse tech professionals in the DC/ Maryland/ Virginia area, to network with Cerner associates and learn about career opportunities with the company. Cerner, one of the world’s leading Healthcare I.T. companies, is looking to hire more diverse professionals for high paying career opportunities. Partnering with HBCUConnect.com allows Cerner to tap into a huge audience of qualified professionals, many of which attend or graduated from a Historically Black College or University. 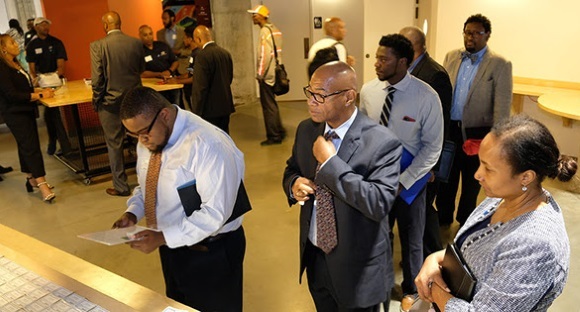 Along with Cerner's recruitment team, Will Moss, CEO and founder of HBCU Connect, will be attending the event and spoke to the expectations of the event. "We are super excited about the event, as Cerner has proven to be a great place to work and a great partner with great opportunities. Matching talented diverse professionals at an event with a company hungry for diverse talent should have excellent results." Founded in 1999, HBCUConnect.com is the first and largest media outlet targeted towards the Historically Black College and University (HBCU) community. Boasting over 1.5 million registered members and encompassing a complete web portal, magazine, recruiting engine, social networking site, forums, blogs, news feeds and shopping, the online platform serves the needs of HBCU aspirants, students, alumni, faculty, and staff by providing a single destination and launching point for the entire diaspora.